selling/storing our equipment, fabrics, furniture, and antiques. creating storage/shelving on my boat for my 2017 sparklewren projects (design idea pictured below). other boat DIY! I’m trying to get the messiest jobs done before end-November, so that we don’t need to do anything mucky alongside our corsetry. And obviously, we’re also focussing on things to keep us warm this winter, haha. Getting the stoves/flues back in place, etc. 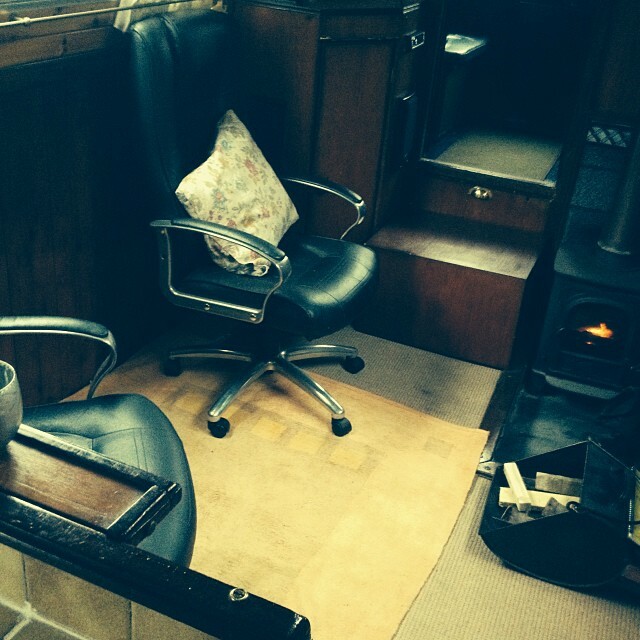 So we’ve been getting the boat more finished and cosy recently. 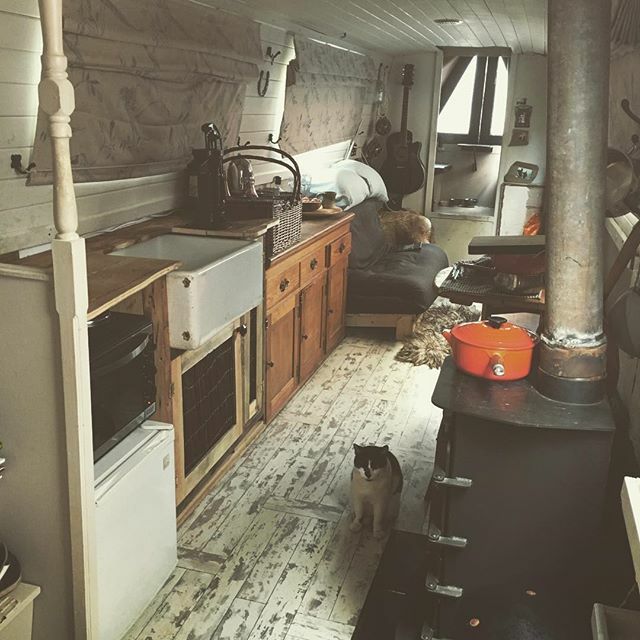 Yesterday we cured paint by lighting both of the stoves in turn (CatFace approved of the heat), got a couple more dinky hand-made shelves up, tested the new stove/oven by cooking our first batch of chunky chips in there (very tasty! ), and wrapped one of the flues then abandoned the idea (it wasn’t necessary in the end, and the wrap was shedding nasty insulation-type fibres everywhere, very scratchy). We still need to get some of our doors welded back on(! ), things are going to get pretty cold soon otherwise… But that’s not subject to our schedule, we have just got to wait patiently. 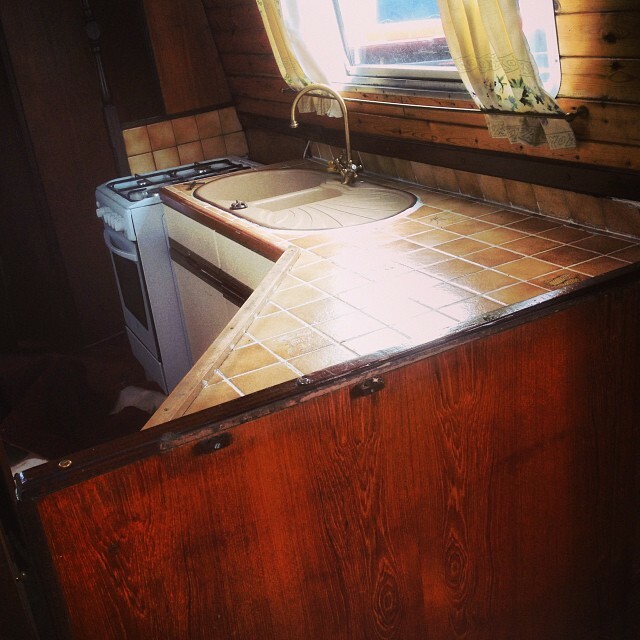 Anyway, anyone interested in narrowboat DIY should check out my narrowboatmakeover instagram hashtag. If you enjoy seeing creative but unskilled people bashing bits of wood together to make random stuff then it’ll be right up your street. It’s all a bit rough-and-ready, but that’s fine with me. Nothing’s square on a boat anyway. That’s a trick you can play on builders (if they aren’t already savvy to it, which they generally are), ask them to use a spirit level. Anyhow, nothing’s square, nothing’s mm perfect, it’s just functional and pretty. I love that it’s a small space. Everything has to have a purpose, even if that purpose is only prettiness. No ugly tat. We’ve done an awful lot since getting the boat, though very slowly, haha. But every so often I remember what it was like before and realise we’ve really changed the vibe. It feels more homely with every passing week. I need to take a more up-to-date pic of this view, but only once I’ve done the work shelves I think (which will sit in the top left corner where the guitar was in this pic). I also want to paint the door surround black. It’s just perpetually dirty from people and cats passing through. And this was the seating area. I’ve got one of those chairs in the studio now, but won’t have any use for it after 22nd November! Free to a good home, ha. Well, they may have been correct about the timeline… It’s been about 20months so far. But that’s fine with me. I loved the feeling of space and layout on this little boat when I first saw it, but only because I could imagine it as a blank canvas. If we’d moved aboard without making a good start on those changes, I reckon we’d have never gotten around to doing them. They’d have seemed too much. It’s often better not to know what you’re getting yourself into. With most things worth doing if you had a proper sense of the effort/challenge involved you’d probably never start. Just too overwhelming. I like not knowing. It allows you a certain bravado! I was thinking the other day about why we can be afraid of change, despite the fact that change can be positive just as easily as it can be negative. I suppose it’s because the familiar is a known quantity. Change could take you in any number of directions… staying still is “safe enough” because you know it. Better the devil you know than the devil you don’t. There are some ways in which I adhere to that of course. I’m not very brave about many things. 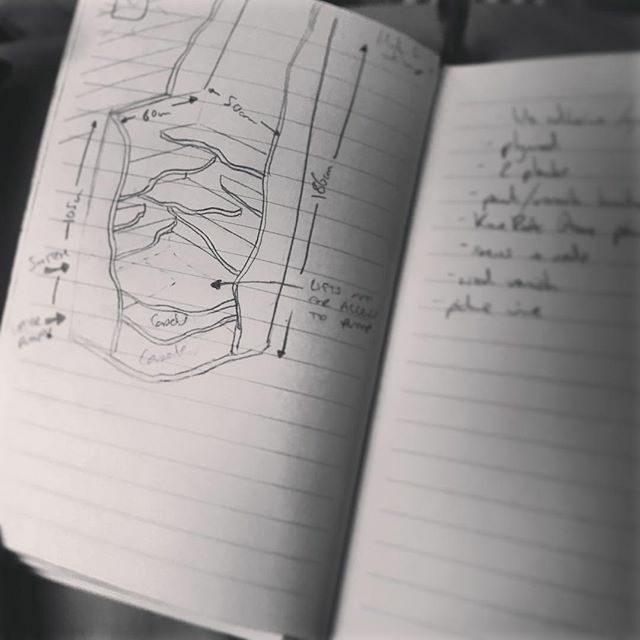 But with creative or educational stuff (which includes DIY, I guess), I quite like to be thrown in at the deep end and to quietly figure it out as I go. Anyway, studio today, stables tomorrow, more boat DIY and dinner with a friend on Thursday, then studio again Friday. Stables again Saturday as they’ll be an adult short otherwise. Sleep on Sunday! Or more DIY as John’s dad might be visiting the day after and visits are a good incentive to get a bit further along. Oh wait, no! No sleep on Sunday, I’m taking photos for my friend Alycia (Emiah Couture). Okay that’s fine, I’ll just collapse after stables on Saturday. I’m shattered and a bit nauseous today, eek. And here’s what I mean about ignorance being bliss… if I’d never had to hustle really hard for my business in the past, I wouldn’t know what was coming and would thus probably have more innocent enthusiasm for it, haha! It’ll be fine, it’s all going very well, I’m just moaning because I’m tired. Previous Post Lots on! Please read/share/explore our posts to support Sparklewren!